Skip the excuses for not having enough time to exercise. Grab your little one and head to the park. Whether you’re a parent or a babysitter, here are some effective and fun ways to burn 200 calories, keep fit, and interact with your child. What kids don’t enjoy aimlessly batting a ball around? Tennis is a great way to get your daily cardio while also strengthening your arms, legs, and your core. Children ages three and up can have fun while building strong muscles and a healthy metabolism with the constant movement and interaction. A person that weighs around 155 pounds can burn up to 260 calories in 30 minutes of a leisurely game of tennis! No matter what climate you reside in, hiking is always available. State parks, local trails, or even a commute to a park with a more challenging terrain is an excellent way to get your daily cardio. An average person weighing 155 pounds can burn between 180 and 223 calories per 30 minutes. Young children and even babies can enjoy the scenery, while getting fresh air and exercise. For very young children and infants, a hiking backpack with an attached child’s seat is highly beneficial. The extra weight of the child on your back can add quite a challenge as well. Use your discretion when taking hikes and be sure to dress appropriately and drink plenty of water. What could be more fun than a day on the beach and tossing a ball around? Knowing that your goal for daily cardio has been reached! 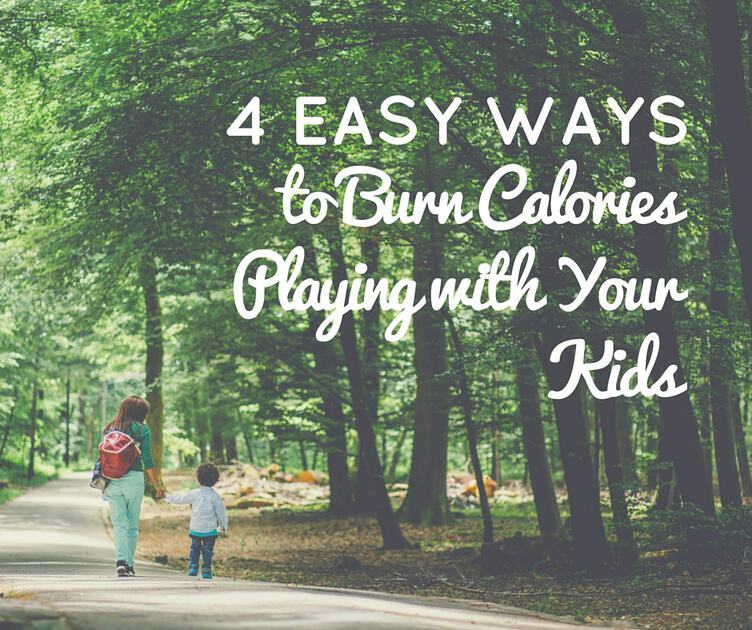 While you and the children are taking turns splashing in the water and throwing a ball over the net, you’re burning a large amount of calories. Much like tennis, volleyball is another game that uses the entire body. A person weighing 125 to 185 pounds can burn anywhere from 240 to 355 calories in just 30 minutes of casually playing volleyball. Children ages five and up can enjoy this interactive beach game! This indoor activity is an underestimated pastime of fun and exercise for both kids and adults. Kids can enjoy rolling around the rink, expending their energy while interacting with other children on the rink. In just 30 minutes, an average person that weighs 155 pounds can burn 260 calories. Since these high-intensity activities burn so many calories, be sure to grab healthy, energy-replenishing snacks and drinks.